Welcome to the Mid Oregon family! The recent purchase by Mid Oregon Credit Union of the accounts and loans of High Desert Bank gives you access to new tools and convenient services for managing your financial life—while still enjoying the local, hometown service you expect. Whether it's access to cash at more than 30,000 no-surcharge ATMs nationwide, a VISA credit card with no cash-advance fees—or just a truly free checking account for your family or business, we've got you covered. Most of the work is already done, but there's still a couple things you can do to make the transition even more seamless. Review the list below, and the Answers to Your Frequently Asked Questions section to get the answers you need. If you need additional help, we're here. Just give us a call, stop by one of our seven Central Oregon branch locations, or email info@midoregon.com and we'll do everything we can to get you going in the right direction. Make yourself at home. We're glad you're here. Your High Desert Bank accounts will receive new account numbers at Mid Oregon Credit Union. All of your accounts at Mid Oregon are referenced with a member number that is the first 5 digits of your account number. Please see the Direct Deposits/Automatic Payments section for information on how to redirect these transactions to your new account numbers. Your new account records will be created at Mid Oregon by June 10, 2018. After that date, you’re invited to enroll Online Banking by contacting the Mid Oregon Contact Center at (541) 382-1795. You can also download our Mobile Banking app and register your accounts so you will have convenient access in advance of the account transfer. Direct deposits and automatic payments currently being processed through your High Desert Bank accounts will continue to process through your new Mid Oregon accounts for 6 months after the transfer to Mid Oregon Credit Union. To ensure continued accurate processing, please provide our routing number and your new account number to any parties making direct deposits or withdrawing automatic payments from your account. The Mid Oregon routing number is 323274186. If you have checking or savings accounts with Mid Oregon, the account numbers to use for direct deposits/automatic payments have been sent to you. If you need to send a written request to make these changes, the Direct Deposit Change Request and Authorization for Transferring Automatic Payment forms are available below. If you used High Desert Bank’s online bill payment system and wish to enroll in Mid Oregon’s eBillPay feature, you will need to transfer your payees to Mid Oregon’s system after you enroll in Online Banking. Mid Oregon offers free, unlimited bill payment, and most common payees in the Bend area are already in our system. You will need the payee name and your account number with the payee to set up payments. We recommend you export your bill payment information from the High Desert Bank system for your records before June 15, 2018 to ensure trouble-free bill payment. 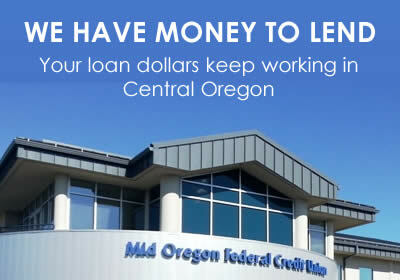 You may continue to use your High Desert Bank checks for 6 months after the transfer to Mid Oregon Credit Union. Any checks outstanding on your High Desert Bank account as of June 15th, 2018, will clear through your new Mid Oregon account. When you are ready to order checks, please let us know. We will provide the first box of basic checks for your new account at no charge to you. You will receive a final account statement from High Desert Bank, showing your account activity through June 15, 2018. The first statement cycle for your Mid Oregon account will end on June 30, 2018 and will show your activity with Mid Oregon, as well as any debit card transactions that occur between June 15 and June 18, 2018. A new Mid Oregon VISA Debit Card has been ordered for the primary account holder of any personal checking accounts transferred from High Desert Bank to Mid Oregon Credit Union. These cards should arrive within 7 to 10 business days. The PIN will arrive separately approximately 3 days later. Please activate your card as soon as you receive it, and contact us if you would like to request debit cards for any joint account holders. Business account holders will be contacted by our staff to confirm debit card orders. Any Mid Oregon branch location can produce a debit card if you need one immediately or require additional cards. To ensure uninterrupted access to your funds, your High Desert Bank debit card will continue to work with reduced transaction limits through June 17, 2018, or until your Mid Oregon account is active and your funds have been transferred. If you have a term deposit, your certificate will transfer to Mid Oregon Credit Union under its current terms, including rate and maturity date. Prior to maturity, you will receive a renewal notice for your certificate. Unless you instruct us otherwise, we will renew your certificate for a 1-year term at the offering rate in effect on the maturity date. If you have other questions about your investments, Mid Oregon Credit Union offers comprehensive financial planning services through CUNA Brokerage Services. 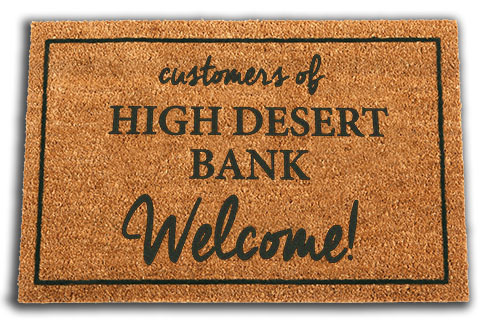 Our advisor, JC Hallman, is available to meet with High Desert Bank customers. To schedule an appointment with JC please call him at (541)322-5745. Mid Oregon Credit Union will allow any High Desert Bank customers to transfer certificates of deposit to CUNA Brokerage Services with no early withdrawal penalties. Unless you were a member of Mid Oregon Credit Union prior to the transfer of your High Desert Bank accounts, you will need to complete a membership application. There is no cost to become a member of Mid Oregon. 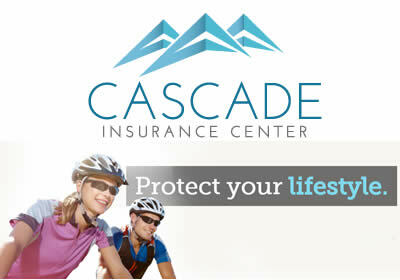 Once you become a member, you will be eligible to utilize all services available at Mid Oregon Credit Union. Our staff will also request to scan your photo ID on your first visit to one of our branches. Your photo ID is stored securely within our systems and allows our staff to verify your identity when you conduct business in person with the credit union. Send written notices to companies that you have direct deposit with (employer, government deposits, pension, transfers from other financial institutions, investment dividends, child support or court-issued deposits, etc.) notifying them that you want to switch your direct deposits to your new account at Mid Oregon Credit Union. Send written notices to companies who automatically take payments from your checking account (utilities, mortgage, insurance, brokerage, credit cards, internet service providers, transfers to other banks, child support or court issued payments, etc.) notifying them that you are closing the account. Send this form to companies notifying them that you want to transfer existing automatic payments from your previous financial institution to Mid Oregon Credit Union. Apply for: Conventional. Adjustable. Jumbo and more. Join: and experience the difference. Try: Simply Free, Direct Interest, or Premium Interest. If you are using a screen reader or other auxiliary aid and are having problems using this website, please call 800-452-3313 for assistance. Mid Oregon Credit Union is committed to providing a website that is accessible to the widest possible audience, regardless of technology or ability. We are currently working to improve the accessibility standards of our website to comply with best practices and standards as defined by Section 508 of the U.S. Rehabilitation Act and level AA of the World Wide Web Consortium (W3C) Web Content Accessibility Guidelines 2.0. Fax: (541) 610-1965 Routing # 323274186 Web Design by Avtec Media.